Claudia earned a Master’s Degree in Communication and Certificate in Urban and Regional Planning from the University of Hawaii. 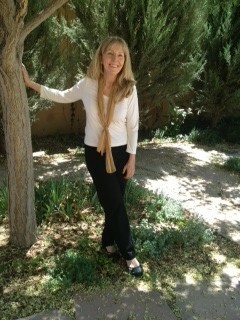 She has been an instructor at UH and the University of New Mexico, as well as adult education venues. Ms. Lucas ran a successful proposal/grant writing business for 14 years. She taught proposal writing at Central New Mexico Community College (CNM) and to many area and regional nonprofits over the span of 12 years. A resident of Albuquerque for over two decades, Ms. Lucas loved snow skiing, and trained for the Ski Patrol after her second ski season. As a volunteer ski patroller, she provided emergency medical care to winter sports enthusiasts at Sandia Peak Ski Area (Albuquerque, NM) for 15 years. For several years, she served on a team of instructors for Outdoor Emergency Care classes required for Ski Patrol certification. Claudia’s long term love of design, and desire to create inspiring interiors that promote comfort put in motion her career change to interior residential design. After studying interior design at the Art Center Design College, and subsequently becoming certified in Interior Redesign by New York designer Lauri Ward, Claudia started her design business, Anew Interior Redesign in 2008. Ms. Lucas rebranded her business to ‘Claudia Lucas Interiors’ while attending celebrity designer Tobi Fairley’s year long mastermind program in 2013. Claudia’s approach to design is creating rooms that are as practical and comfortable as they are lovely. She works in a variety of design styles. Her specialty is helping clients create spaces that are an invitation to relax, recharge and feel inspired. In 2015, Claudia expanded her services to commercial as well as home office environments. Her focus is helping clients become more productive and energized by adapting their workstations for better ergonomics and health. She also works with clients to redesign their offices to improve function, and aesthetics. In 2016, Claudia launched her sister company, Anew Interior Ergonomics Consulting, and re-branded to Ergo InMotion® in 2018. Ergo InMotion® offers education/training, assessments, and scalable ergonomic solutions to small to medium-size employers/businesses. 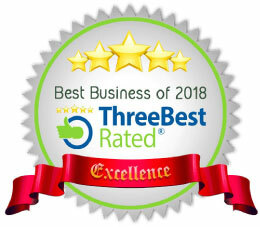 Groups and organizations she has presented to include the Human Resource Management Association of New Mexico (HRMANM), Keller Williams Realty Santa Fe, Sandoval County Business Builders, Rotary, and Kiwanis Clubs. Claudia is OSHA certified for Office Ergonomics Compliance, and is presently working on certification for mobile office ergonomics. 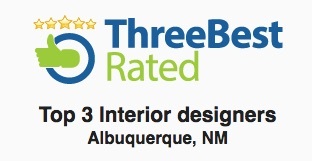 Claudia Lucas Interiors is ranked as one of the top design firms in Albuquerque for the past three years. Ms. Lucas recently relocated to Port Hueneme, CA where she has family roots, and is launching Claudia Lucas Interiors and Ergo InMotion® to serve residents of Ventura County.